(Especially new) users often use redundant tags in the title redundantly. In fact, by far the most common edit reason I use a the moment is “removed tag from title”. There’s a consensus that tags don’t belong in the title (see Using tags in question titles) – common sense also dictates this: in general, repeating tags in the title serves no purpose. Is there a way of educating (new) users not to do this? For instance, could Stack Overflow not recognise when somebody starts or ends their title with “in X” (or worse, just plain “X”), where “X” is also used as a tag? Addendum: I’ve just found that Jeff Atwood explicitly encourages some of this use, e.g. How do I tell what OS I am running on in Python? … I actually disagree. Given that this question is tagged python, I fail to see what “… in Python” adds to the question title, and I think that Jeff’s answer isn’t thought through very well: his remaining points are decidedly dodgy, as has been pointed out in the comments. 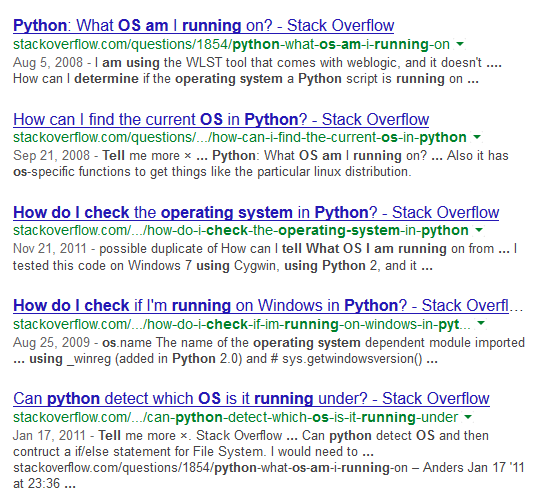 The system already detects the use of tags in titles to some extent because the most popular tag is added to the question title in search engines, but the tag is omitted if it already appears in the title. Welcome to Stack Overflow! I have edited your title. Please see, "Should questions include “tags” in their titles? ", where the consensus is "no, they should not". A variation of this canned comment, suggesting the OP edit their title to remove the tags, can be put on any post where the system detects the presence of the most popular tag in the title. Not the answer you're looking for? Browse other questions tagged discussion feature-request tags user-interface title . Can we prevent titles with an unnecessary tag in them? Should meta use Tags and Title Labels? Can we make the title of duplicate questions say “duplicate”?